Like many large banks on wall street Goldman Sachs offers several hedge funds. A few of these took big losses this summer and in one case with the Goldman Global Opportunities Fund the firm had to inject $3B into the fund to keep it running ($2B of their own money). "Given the market dislocation, the performance of GEO has suffered significantly," Goldman said. "Our response has been to reduce risk and leverage." In other words their losses mostly came from using too much leverage in the first place. "Many funds employing quantitative strategies are currently under pressure as recent conditions have resulted in significant market dislocation," Goldman said. "Across most sectors, there has been an increase in overlapping trades, a surge in volatility and an increase in correlations. These factors have combined to challenge many of the trading algorithms used in quantitative strategies. We believe the current values that the market is assigning to the assets underlying various funds represent a discount that is not supported by the fundamentals." The two other funds that have recently come under fire include the multi-strategy fund Global Alpha and the North American Equity Opportunities Fund (NAEO). Goldman has said "The market dislocation impacting equity quantitative strategies has adversely affected NAEO's performance and has been a key contributor to Global Alpha's disappointing performance. We have reduced risk and leverage in these funds as well. At their current levels of equity capital, we believe the funds are positioned to actively pursue market opportunities." Never. Doesn't listen to journalists who predict Goldman's flagship fund going down in flames as an end to their play in this industry. The most recent trend with Goldman Sach's strategy towards hedge funds has been to invest and take partial ownership in dozens of medium to large sized hedge funds. This allows them to help grow these hedge funds while also participating in the upside of a diverse ray of hedge fund managers and strategies.Goldman Sachs Group Inc.'s $10 billion flagship hedge fund dropped 11.6 percent this year through the end of November, extending earlier losses as its managers misjudged the direction of global stock and currency markets, according to two investors. Goldman's Global Alpha Fund lost money partly on wrong-way bets that equities in Japan would rise, stocks in the rest of Asia and the U.S. would fall and the dollar would strengthen, the investors said. In August, the fund lost almost 10 percent on unprofitable investments in global bond markets. New York-based Goldman is the world's largest hedge fund manager, with $29.5 billion in assets. Resource #3: Goldman Sachs Group Inc.'s $10 billion flagship hedge fund dropped 11.6 percent this year through the end of November, extending earlier losses as its managers misjudged the direction of global stock and currency markets, according to two investors. Resource #5 What it’s into: A lot, but like most hedge funds, the firm is pretty secretive. GSAM invests in equity—buying stocks in businesses in the United States and around the world, especially when it believes their prices are undervalued. It’s also into currency, fixed income, private equity, real estate, and alternative assets, like venture capital and infrastructure, that have longer time horizons. Resource #6 The Goldman Sachs equity proprietary trading desk, where traders make bets on stocks with the bank's own capital, is the "American Idol" or "Star Academy" of the trading world. In the past few decades, the group has produced a who's who of hedge fund talent, including Richard Perry of Perry Capital, Daniel Och of Och-Ziff Capital Management Group, Thomas Steyer of Farallon Capital Management, Edward Lampert of ESL Investments, Dinakar Singh of TPG-Axon, and Eric Mindich of Eton Park. The six manage a total of almost $100 billion. Now Raanan Agus, 39, head of that desk, is also starting a hedge fund, but with a twist. His fund will be inside Goldman Sachs. 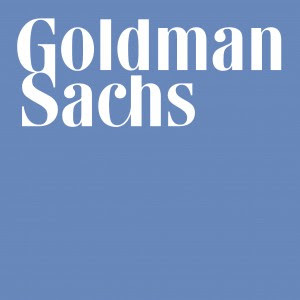 Resource #7 Goldman Sachs Asset Management International plans to launch a fund that will invest at least 80% of its net assets in a portfolio of investments in Bangladesh, Egypt, Indonesia, Kuwait, Mexico, Nigeria, Pakistan, Philippines, Qatar, Saudi Arabia, South Korea, Turkey, United Arab Emirates and Vietnam. Goldman Sachs Next 11 Plus Fund seeks long-term capital appreciation and will be part of Goldman Sachs Trust, according to a Securities and Exchange Commission filing from Friday. Resource #8 Goldman Sachs Group (GS) Monday said a group of investors that includes Eli Broad and Hank Greenberg will sink $3 billion into one of its biggest hedge funds, which has seen its value plunge amid market volatility. The investment bank said its Global Equity Opportunities fund "suffered significantly" as global markets sold off on worries about debt and credit. The fund lost as much as 14% of its value during the past 12 months, according to media reports, and is currently worth about $3.6 billion. Goldman Sachs will lead the group of investors to help bail out the hedge fund, which relies on computer-driven trading strategies. Other investors include Broad, Greenberg's C.V. Starr, and Perry Capital. Resource #9 Goldman Sachs Asset Management is the world's largest hedge fund, according to a ranking by Alpha magazine, leading a 100-strong group of hedge-fund managers that collectively control $720 billion, or nearly two-thirds of the estimated $1.1 trillion in assets held by these lightly regulated investment pools. Assets held by the top 100 managers were up by nearly 27% from the $568 billion they managed a year ago, Alpha magazine said, a rise that is being driven by institutional investors increasingly allocating money to hedge funds. Goldman Sachs Asset Management, part of Goldman Sachs Group Inc., rose to the top position from number three a year ago, with $21 billion in hedge-fund money. Westport, Conn.-based Bridgewater Associates and D.E. Shaw Group of New York were close behind, with $20.8 billion and $19.9 billion, respectively. Those top three managers all increased their assets by more than $9 billion last year, Alpha magazine said today, "a reflection of pension funds' and other institutions insatiable hunger for scalable hedge-fund investment strategies." Resource #10 new additions to the group have been made as a result of the significant asset growth in the hedge fund market and an increasing need for specialization across hedge fund sectors. The equity proprietary trading desk at Goldman Sachs, where traders make bets on stocks with the bank’s own capital, is the American Idol of the trading world. Goldman has raised $4.5 billion for two new hedge funds. One of these is a credit hedge fund called Liberty Harbor that raised $2.7 billion. The other, GS Liquidity Partners, had $1.8 billion raised for it, and will make investments in distressed credit. On top of these two funds which have already been fundraised for, Goldman is planning to launch yet another long/short equity fund in the next few months. Resource #12: Goldman Sachs Group Inc.'s $10 billion flagship hedge fund dropped 11.6 percent this year through the end of November, extending earlier losses as its managers misjudged the direction of global stock and currency markets, according to two investors. I am not sure what your point is here on the Goldman funds. You have reported the news! What is your opinion? My opinion? That although they have had some struggles they are very strong in the space and they are now investing a lot of money into directly owning percentages of highly profitable hedge funds. I think they are the most innovative large-scale wirehouse on Wall Street. I've heard it was launching by the end of Q1. Maybe they will delay announcing the official PR version of its official launch date until they get close to $5 or $6B. They can probably seed the first portion of this new fund through their ultra high net worth division and internal resources.